Makes air bubble trouble just go away! 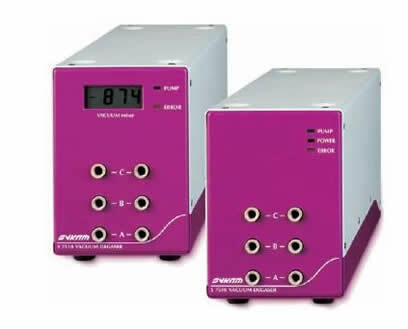 Very efficient degassing (0.5 ppm air @1 ml/min, 5ppm air at 10ml/min per channel). Solvent is ready to go in just 10 seconds from turning the unit on. For maximum information, choose the model S7510, with the vacuum display; for the lowest cost choose model 7505 without the display. They both work just as well!